"The process was flawless! I gave Tatiana an idea of what I was looking for and she took care of the rest, (including content)! Updates are taken care of quickly and any questions or problems are addressed immediately. Having a professional Website has directly impacted the success of my business, and dollar for dollar has proved to be one of the most important marketing tools we utilize." 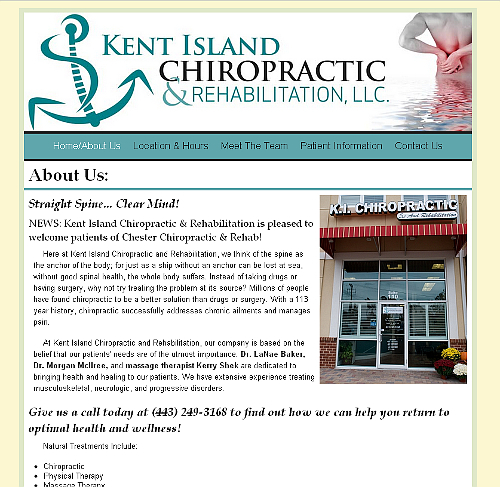 This website was designed for a local chiropractor's office. My goal with this site was for the design of the site to mimic the feel of the new office and the professionals who work in that office. To that effect, the color scheme was based on the logo colors, which were two shades of teal and a dark grey. 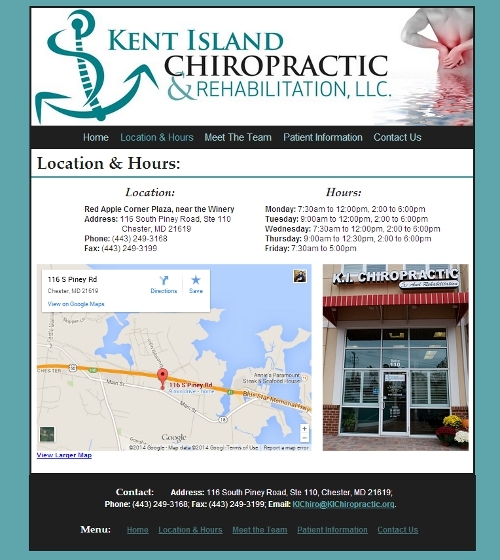 Added the footer with contact information and menu. Changed menu link colors to teals.